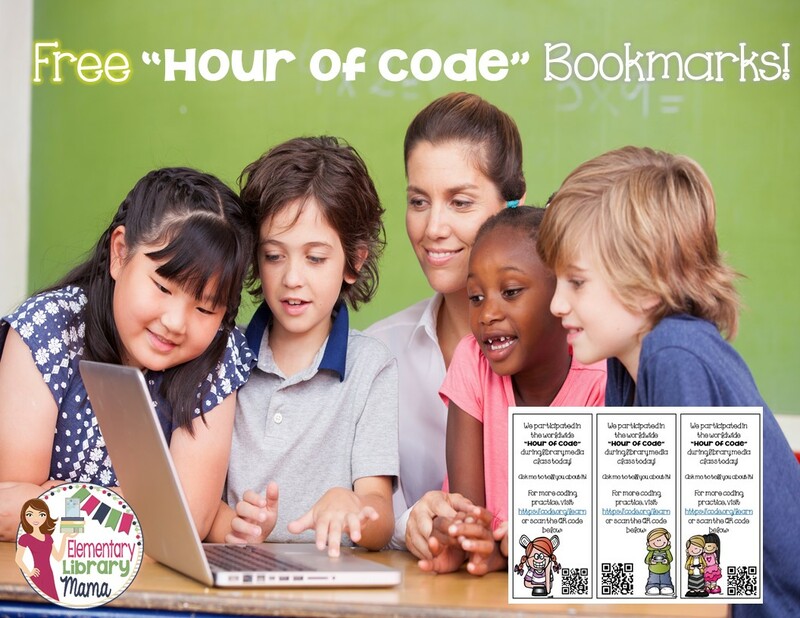 FREE "Hour of Code" Bookmarks for your Students! Last year, I had my K-5 media classes participate in the "Hour of Code" sponsored by Code.org. If you don't know what that is, it is a fun way to introduce students to computer programming. If you're thinking, "I don't have a degree in computer science and I can't possibly do this! ", you're WRONG! I too was very nervous about attempting this, but I took a chance and it paid off big time! All classes tried the Angry Birds module and everyone (including me) had so much fun learning the basics of programming! I do need to warn you that when I attempted to access the site during the official week in December last hear, I couldn't. I think too many people around the world were trying to get on. Keep that in mind. You can do the Hour of Code anytime during the year. I think I ended up doing it a week later and it worked just fine. Have fun with this! Let me know how YOUR Hour of Code went. I'd love to hear from you!